"Kursk 1943: A Statistical Analysis". 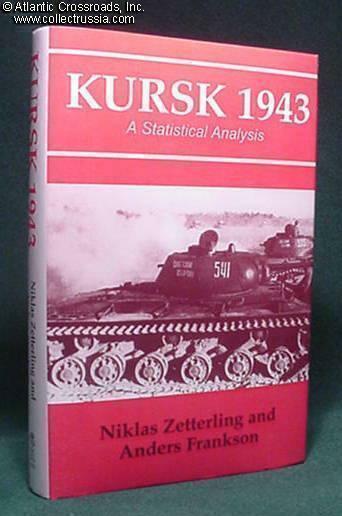 "Kursk 1943: A Statistical Analysis"., by N. Zetterling and A. Frankson. C. 2000, English text, hardcover, 270 pp. This book is based on original German battle records, and provides details not previously published such as which units participated, what their strengths were, what types of equipment they had, and what casualties they suffered. This fine book is highlighted by very useful tables.